Lamont Wade had scholarship offers from coast to coast, and, over the last few months, he envisioned himself playing in a number of different places. “Last year I wanted to go to West Virginia. Then this year in the spring, I was really feeling Ohio State. At the beginning of this season, it was all Tennessee,” Wade said. Penn State, though, was Wade’s ultimate choice. 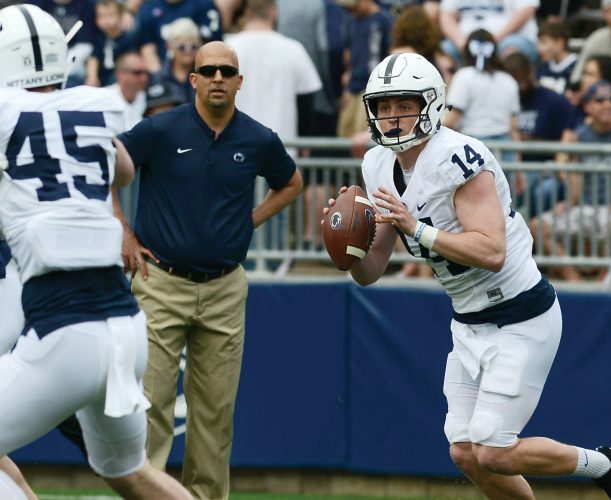 The Nittany Lions haven’t had a great deal of success historically pulling players out of WPIAL small-school powerhouse Clairton. However, they picked the perfect time to break through by getting the 5-foot-9, 182-pound cornerback rated the No. 9 prospect in the entire country by Rivals.com to make a verbal commitment at a get-together at a banquet in his hometown on Saturday night. 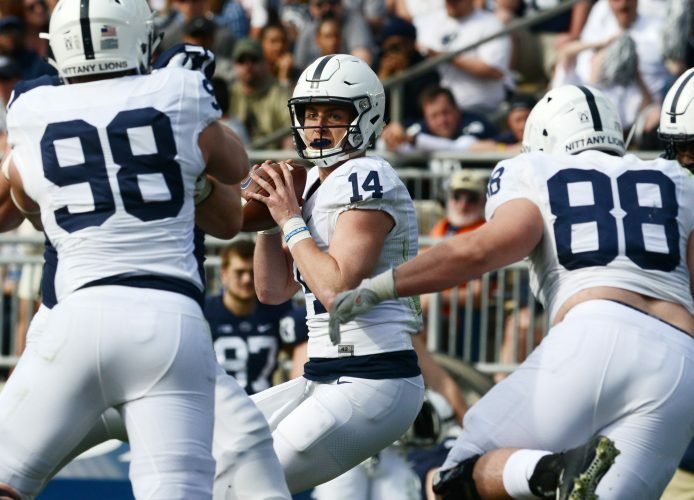 The WPIAL’s co-leader in all-time touchdowns cited Penn State’s on-field success this year as one of the reasons he chose the Lions over West Virginia. Pitt, Tennessee and UCLA were Wade’s other finalists. Selected as a participant in Jan. 1’s Under Armour All-American Game, Wade also said the relationship he built with his recruiter for Penn State, assistant coach Terry Smith, played a big part in his decision to pick the Nittany Lions. In addition to his five finalists and Ohio State, other prominent programs that offered him a scholarship included Alabama, Michigan, Oklahoma, Auburn, Wisconsin, Virginia Tech, Nebraska, Mississippi State, North Carolina and Wisconsin. He brings to 18 the number of members in Penn State’s 2017 recruiting class, joining Georgia’s D.J. Brown and Michigan’s Donovan Johnson as corners in that group, and he will enroll in college on Jan. 9. Wade actually played free safety for Clairton, which went 14-1 this season, losing to Bishop Guilfoyle in the PIAA Class 1A championship game. Wade had 46 tackles, four interceptions and scored three defensive touchdowns, including an 82-yarder that was key in the Bears’ District 7 championship game victory over Jeannette. A three-time Pittsburgh Post-Gazette Fabulous 22 selection, Wade rushed for more than 2,300 yards and 32 touchdowns as a senior and finished as the No. 3 rusher in WPIAL history. Penn State still is expected to try to add a couple more players to this class. Maryland defensive end Josh Kaindoh, Virginia defensive tackle Elijah Conliffe and Maryland linebacker Nathan Proctor are the highest-profile prospects considered reasonable possibilities to wind up in blue and white, although Kaindoh has been trending more to Florida State the last couple of weeks. Wade said he made his decision on Wednesday. While Penn State had been considered the leader during most of his recruitment, there were some anxious moments for Lion recruiting fans in recent days, as reports came out that the consensus four-star prospect was intrigued by the opportunity to get on the field immediately at West Virginia. On Saturday, Wade said he could be in the mix for playing time early with the Lions, too.